Are you frustrated with your gas bill, driver expenses, and other transportation costs? Do you plan your routes manually or use a GPS to do so? If your answer is yes, then wait… it’s time to adopt route planning software. Route planning software helps you plan optimized routes to save both time and money. Whether you are planning for five or 20 routes, it makes your job quick and easy. But, it is a daunting task to find one that addresses your needs well. Also, you won’t solve your problem by just buying one. Can you learn how to drive just by purchasing a car? You need proper training to drive… don’t you? This also holds true for route planning software. Moreover, you need software that does not require you to have a lot of training. This is because you don’t have ample time to navigate and/or learn the software itself. So, you need route planning software that can help you get started right from the first day or week… right? The good news is that Route4Me addresses all these requirements pretty well. It’s easy to use and comes with a plethora of features and benefits. Moreover, you get free training to ensure you don’t miss out on a single benefit offered by the software. Route4Me has served many businesses over the past six years… saving hours of work every day. So, you’re always in safe and experienced hands. 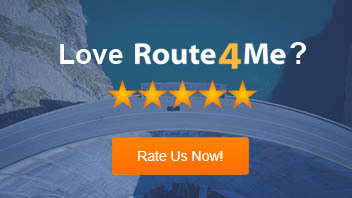 Thus, what features and benefits does Route4Me offer? What’s the training process? How fast can you start using the software? All these questions will be answered in this article. This feature allows you to let your clients know in advance when your drivers will visit them. You can do it by tracking either the vehicles or the drivers themselves. It also helps you figure out the exact arrival and departure of route stops. So, you can give your clients an accurate ETA. Unexpected problems can happen at any time with a driver on the road. But, you can’t compromise on the delivery turnaround time to maintain customer satisfaction. So, this feature helps you handle such a problem… so you can schedule other drivers to do the deliveries. In this way, the deadline is always met and you can maintain a good delivery rate. You’ll agree that time is not the only constraint in route planning. There could other constraints as well, such as weight, distance, driver, and capacity. But, considering the constraints makes planning routes difficult… and this feature is a savior. It helps you add as much as special constraints you want to the system.. and it will automatically factor these in while creating routes. You may have a proper route planned in advance… but what if you need to make some last minute changes to the route? The Route4Me synchronization features make this process easy. It synchronizes your changes on your local computer… to the driver’s smartphone automatically. It should now be clear how the Route4Me features can help you make your route planning efficient. But, you need to ensure that you make proper use of all these features to capitalize their benefits. So, the question is how long will it take before you can start using all the features? And how steep is the learning curve? The Route4Me app is pretty user-friendly and you can navigate and use most of the features on your own. Yet, it may take some time for you to learn how to use the advanced features. But, we cut down that learning curve as well with our free onboarding program. Then read our next section that explains in detail how we onboard our clients. 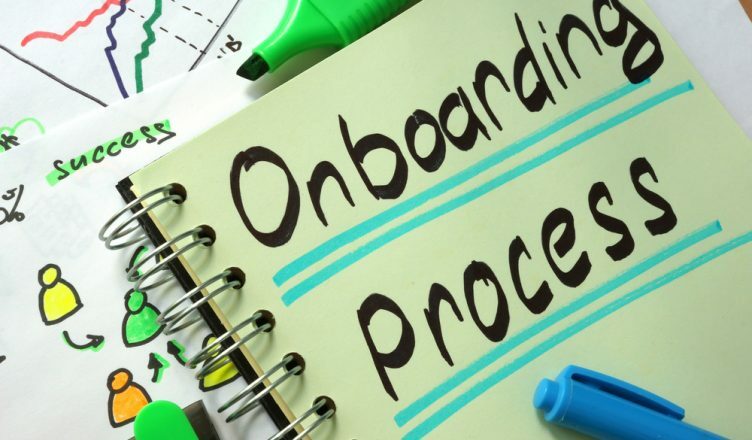 We have a team of dedicated onboarding specialists.. committed to providing you with the best in class training. Our specialists first schedule the training when you are available.. and then will walk you through the following sections. The specialist will first provide you with an overview of the app… by going through the features. This helps you learn how to optimize your routes according to your needs. In this part, you are trained in the ways you can upload your customer data into the system and plan routes. We train you on how to format your spreadsheet files… so the system can easily interpret the data. One of the biggest benefits of this app is… you can upload unlimited address book contacts. But, it could turn out to be a messy practice if you don’t know how to use the massive dataset within the app. So, we train you on how to manage your address books… and use it to oversee and drive your salespeople or drivers. So, in this section, we train you on how to add the constraints and plan routes accordingly. What if you need to make a last-minute change to a route? What kind of amendment possibilities are there? How can you keep your drivers updated about the recent route changes? We answer all these questions and show you the process in this part of training. Data security is a serious concern for large-sized enterprises. And it is not just about external threat… even internal employees can pose a big threat to your business. So, we tell you how to set up users and permissions.. so your employees can only access the information they need. We don’t just leave you with the training. As the last step, we conduct a dedicated Q & A session to answer all kinds of questions you may have. You can have three extra meetings with our specialists… even during the transition period. The onboarding process is only complete when you have zero questions to ensure you can fully use the app. So, how do you plan your routes? Have you ever used route planning software? Please feel free to leave your comments below and thanks for reading!